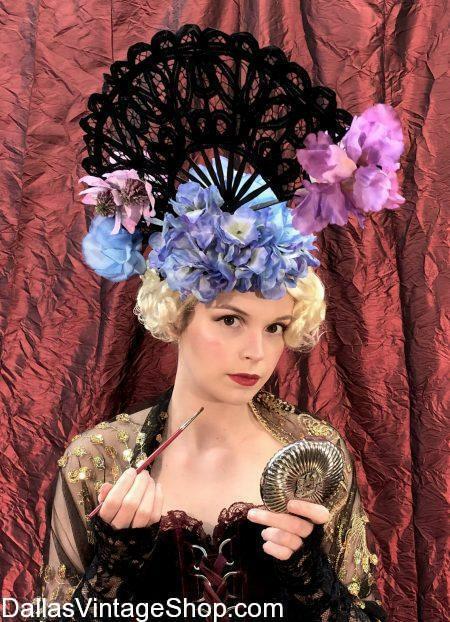 We Have All You Need for 11th Annual Day at the Races Costumes.Saturday, May 4th, 2019 4:00 PM – 7:30 PM @ Arlington Hall Special Events 3333 Turtle Creek Blvd, Dallas, Texas 75219. Our HUGE SHIPMENT of Lone Star Park, Kentucky Derby Hats has arrived with Fresh Spring Fashion Derby Hats that will amaze! We are the premium source for all the Kentucky Derby Lone Star Park Hats in the Metroplex. 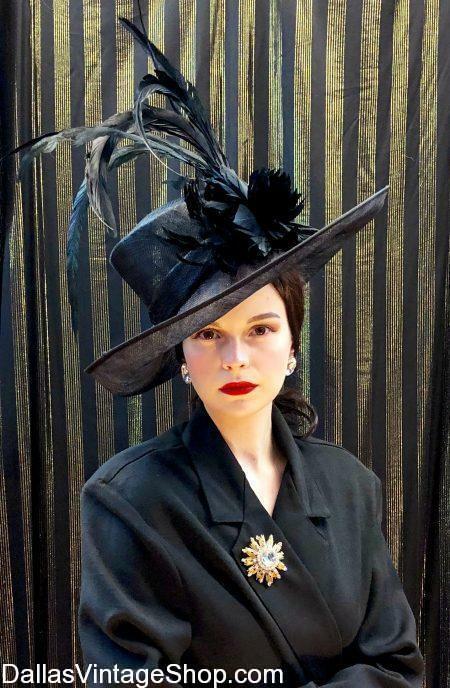 From Bodacious to Refined Sophistication, you’ll find the largest & most diverse selection of Derby Hats for Ladies or Complete Derby Outfits or just Quality Hats for Derby Dames & Derby Gents right here in our shop. “Come Derby down Saturday, May 4th for Dallas’ original and best Kentucky Derby party, the 11th annual Day at the Races at beautiful Arlington Hall in Oak Lawn Park. Don your derby finest and enjoy a lively afternoon filled with mint juleps, fine Southern cuisine, and the 145th Run for the Roses! All proceeds benefit the care and beautification of Oak Lawn Park and Arlington Hall, so come stroll the park grounds, play lawn games in the Formal Garden, dance to the Taylor Pace Orchestra in the magnificent Great Hall, and even take part in competitions for Best Dressed and Best Hat! Need info about Kentucky Derby Party in Arlington? Saturday, May 4th, 2019 4:00 PM – 7:30 PM @ Arlington Hall Special Events 3333 Turtle Creek Blvd, Dallas, Texas 75219. 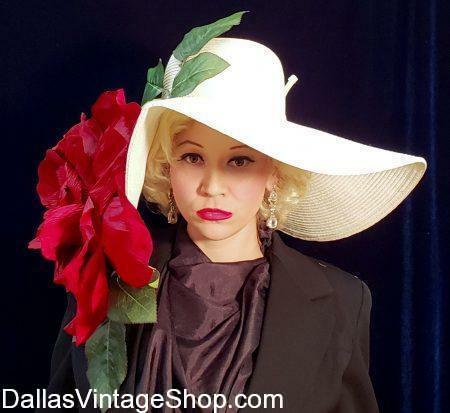 Dallas Vintage Shop has the largest & most diverse selection of Derby Hats for Ladies or Complete Derby Outfits for Derby Dames.We have Gentleman’s Derby Hats or Complete Outfits for Derby Gents too. It’s all right here in our shop. We List All the Kentucky Derby Party 2019 Information. Saturday, May 4th, 2019 4:00 PM – 7:30 PM @ Arlington Hall Special Events 3333 Turtle Creek Blvd, Dallas, Texas 75219. We provide Kentucky Derby Party Day Dates & Times, Details, Official Website Links Directions and more. 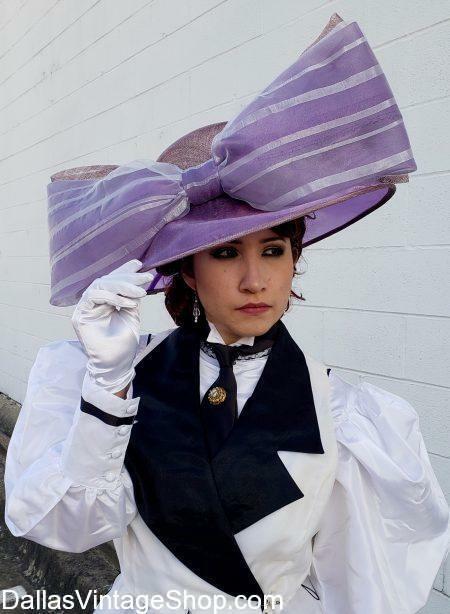 Need amazing Derby Day Hat Fashions? We have more Hats than you have ever seen. We Like This DFW Area Event. 11th Annual Day at the Races Saturday, May 4th, 2019 4:00 PM – 7:30 PM @ Arlington Hall Special Events 3333 Turtle Creek Blvd, Dallas, Texas 75219. You have found: KENTUCKY DERBY DAY INFO: Location, Schedule, Hat Contest Rules & Official Website Links. We are Dallas Vintage Shop and our commitment is to bring to your attention all the Dress Up & Costume Events in the DFW & North Texas Area. We also provide all the Derby Hats & Theme Party Costumes you’ll need for each and every Themed Event in the Metroplex & beyond. All Day at the Races 2019 Info Can Be Found Here. Saturday, May 4th, 2019 4:00 PM – 7:30 PM @ Arlington Hall Special Events 3333 Turtle Creek Blvd, Dallas, Texas 75219. We present to you all the Lone Star Park Kentucky Derby Day Details you need. We also are the absolute best source for all the Kentucky Derby Lone Star Park Hat Contest Hats. 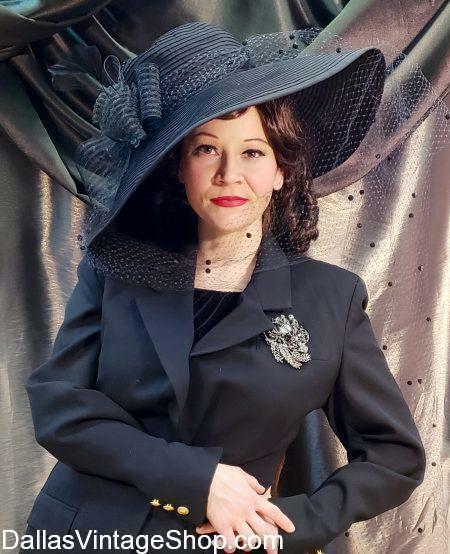 From Bodacious to Refined Sophistication, you’ll find the largest & most diverse selection of Derby Hats for Ladies or Complete Derby Outfits or just Quality Hats for Derby Dames & Derby Gents right here in our shop. Don’t Miss Day at the Races in Arlington on May 4th, 2019. 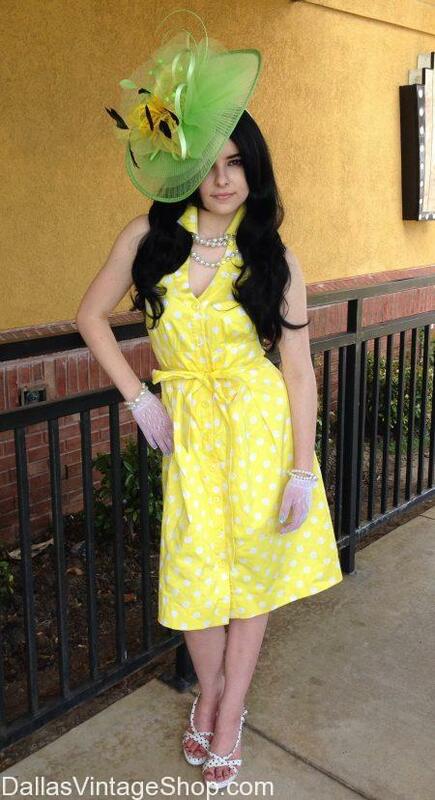 We have Kentucky Derby Party Information & Spring Fashion Hats. 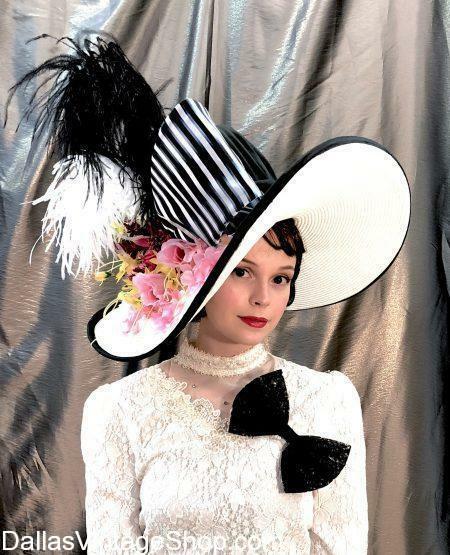 Yes, KENTUCKY DERBY 2019 Derby Hats Have Arrived at Dallas Vintage Shop. We are dedicated to listing Costume Events & Dress Up Events in the Metroplex. You are in 2019 05/04 Day at the Races at Arlington Hall category.